The Phan Foundation officially announced its call for nominees to enter the 5th year of the Padoh Mahn Sha Young Leader Award. The cut off date for applications is January 31, 2013. The Padoh Mahn Sha Young Leader Award is given each year to Karen community workers from the health, education, social or cultural sectors. According to the Foundation criteria, nominees should be Karen, aged under 35 and nominations should include name, place, field of work and why they should be awarded the Young Leader Award. Saw Say Say Phan, a founding member of the Phan Foundation spoke to Karen News about the award. Saw Say Say Phan said the award winner would receive certificates and a grant of US$2,000. The 2012 Padoh Mahn Sha Young Leader award winner will be announced in May 2013 and the award will be presented at the 2013, Karen Unity Seminar. The Phan Foundation award was set-up in memory of their father, Padoh Mahn Sha Lah Phan, by his children. Padoh Mahn Sha Lah Phan was the General Secretary of the Karen National Union, until he was murdered on 14th February 2007, assassinated by Democratic Karen Buddhist Army militia, that at the time were under the control of the Burma Army. 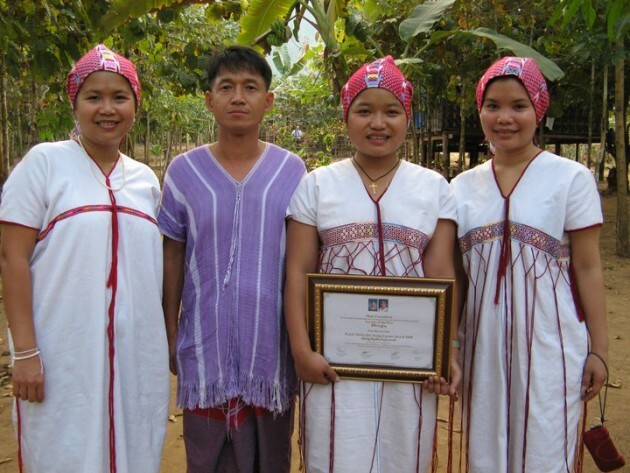 The Phan Foundation was founded on February 14, 2008 by Mahn Sha’s four children Say Phan, Nant Bwa Bwa Phan, Nant Zoya Phan and S’ Lote Phan in memory of both parents, Nant Kyin Shwe and Mahn Sha Lah Phan. Saw Say Say Phan said interested Individuals or organizations can submit nominees by email to: bwabwa.phan@phanfoundation.org or phone: +4477 39872481 or more details go to www.phanfoundation.org.